Do you want more exposure for your content? Content Marketers need to rapidly boost content exposure to target audience if they are going to be successful. At the same time Content Marketers are usually constrained by a limited budget and resources. Achieving exposure on a limited budget demands what could I call “lean visibility”. One of the best ways to achieve rapid exposure is through discussion injection. This is where you join a discussion that is already taking place on a popular social media site like Quora, Facebook, LinkedIn or Twitter. These social media sites can be a very good source of customers for your startup when marketed correctly. 43% of all marketers have found a customer on Linkedin and 36% have found at least one customer on Twitter in 2014, according to recent figures released by Hubspot. Lets take a look on concrete social networks where your effort is most likely profitable. Right now Quora is the secret weapon for building visibility for more than one Silicon Valley startup. Quora users are often early adopters of new technology which can make it a good place to find the first customers for your startup. Join the discussion, give the opinion that is most helpful but don’t use the platform simple to promote your company. The marketing savvy users of the site can be very hard on startups which try to abuse the site solely for their own ends. But if you can’t help yourself because your solution is the best answer for posted question – use a disclaimer. It’s common on Quora but you have to remember not to abuse it. Another potential avenue for discussion injection is Twitter chats.Twitter chats occur when a group of Twitter users discuss the same topic using a specific hashtag. The chats occur a specific time and are often on a weekly or bi-weekly basis. You can find an updated list of twitter chats here. Twitter chats can be a good way to gain exposure among your target market while demonstrating your knowledge in the field. Remember that it is usually not ok to directly promote your brands or products during the Tweet chat. Place a link to your website or landing page in your Twitter profile and let it do your marketing for you. If you want to gain even greater exposure for your startup consider hosting your own Twitter chat. LinkedIn groups are another excellent place for discussion injection. There are currently over 1.8 million different groups on LinkedIn where you can use the discussion injection. No matter who your ideal user is, there is likely to be a group which matches their profile. You can find an appropriate LinkedIn group to join in the LinkedIn Group directory which can be found here. 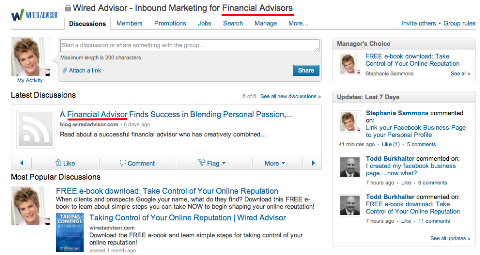 One of the keys to success with discussion injection on LinkedIn is to find an active group. To establish activity take a look at the Group Statistics. On this screen you will be able to look at the Groups demographics, growth rates and its activity. One of the key figures to look at is the discussion ratio. This is how many time each post is commented on. When deciding between different groups to target, choose the group where there are a lot of comments on each post. This may not necessarily be the group that has the most posts overall. To gain exposure for your startup you need to be able to engage people in a conversation. As a Content Marketer getting quick wins and rapid exposure is important if for no other reason than to be able to test your hypothesis. But just because you are using tactics to produce short term boosts in traffic doesn’t mean that you shouldn’t be focused on your longer term strategy as well. Discussion injection provides a good balance between these two strategies because it can create short term bursts of traffic but also result in long term brand recognition. Participating in discussions also provides valuable insights into the minds of your customers and the challenges that they are facing. When lean visibility is practiced correctly, a limited budget doesn’t have to mean limited exposure for your startup. Think about potential of this method. With only 30 minutes a day you can create brand awareness, build a reputation, bring valuable traffic to your site and get customers. You must be thinking – how? If I have limited resources, I’m not able to find a proper discussion and give a smart, worth noticing answer in just 30 minutes. We had the same problem. The idea of discussion injection seemed terrific to us, but we often didn’t have time to prepare, or it required engaging more than 1 person or took more that just half an hour. That’s why we created Growth Ideas in Colibri. 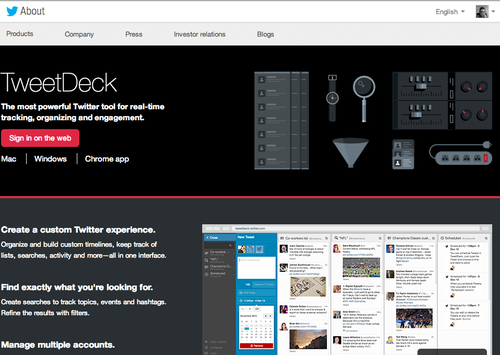 These are tailored to your keywords and site tips which shows you exact discussions on Quora, Twitter, etc. where you should inject to gain visibility.